You may be having problems playing Poptropica because your Flash Player has been disabled or is out of date. Don't worry! Follow the troubleshooting tips below to get back to your game. You may want to ask a parent or guardian for help. Close ALL Google Chrome browser windows you have open. Make sure you don't forget any! Re-launch Google Chrome. Your browser will update automatically. Important! If you are using a Mac, you will have to choose the "Quit" command from the Application menu in the top left corner to fully close your browser. Flash problems on Google Chrome? You might need to update your Flash Player. Follow the troubleshooting tips below. Check the status of your Flash Player. Important! 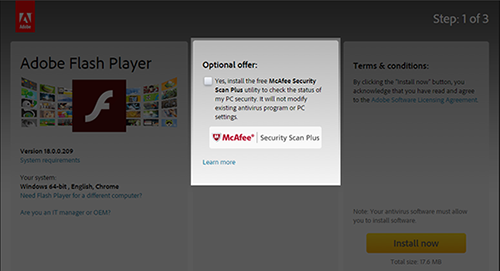 Make sure you clear the checkbox in the "Optional Offer" section before you click "Install Now." When your download has finished, close Firefox by clicking the "Menu" button in the top right corner, and then clicking "Exit." 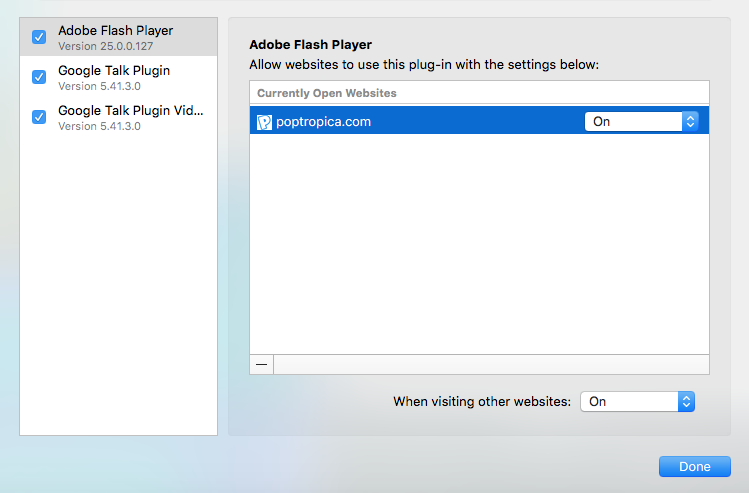 Open the Flash Player installer file you downloaded, and follow the prompts to install the new Flash Player on your computer. If you are unsure about any of the steps above, please ask a parent or guardian to help you troubleshoot your Flash Player issues. Still having issues? If you followed the directions above, and you are still experiencing problems with your Flash Player, please contact us here: http://www.poptropica.com/contact/contact-Poptropica.html. In the pop-up menu that appears, click Manage Add-ins. In the dialog box that appears, select Toolbars and Extensions. In the list of Add-ons, look for "Shockwave Flash Object" (another name for Flash Player). In the Status column, check to see whether Shockwave Flash Object is Disabled. If it is disabled, click the row for Shockwave Flash Object to highlight it. In the lower-right corner of the Manage Add-ons dialog box, click Enable. If your Flash Player is out of date, follow these steps to update it. When your download has finished, close Safari. If this still doesn't work, or if your Flash Player was already up-to-date, you may need to enable Flash in your browser preferences. 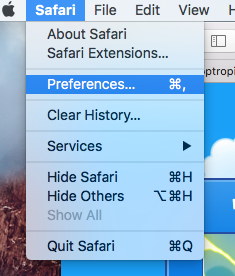 Open the "Safari" menu and select "Preferences." Click the "Security" tab. Make sure the following boxes are checked. Find "When visiting other websites" and select "Allow." For more help, try the Adobe and Apple sites. Select Poptropica from the menu above and select On.